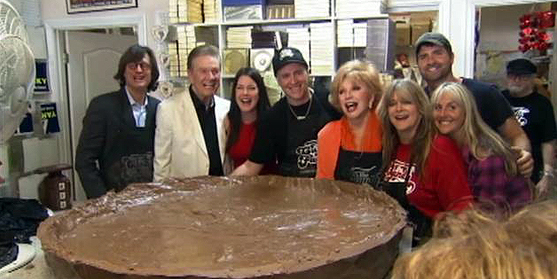 March 22, 2016 – The Thalians help the Candy Factory — a chocolate shop in LA — break the Guinness World Record for largest peanut butter cup! 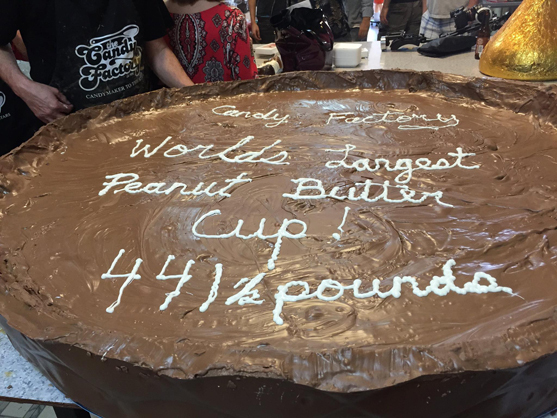 They used nearly 440 pounds of ingredients for the version they molded in a kiddie pool. Once their world record has been verified, the Candy Factory plans to sell the monolithic peanut butter cup in small pieces and give the proceeds to charity.